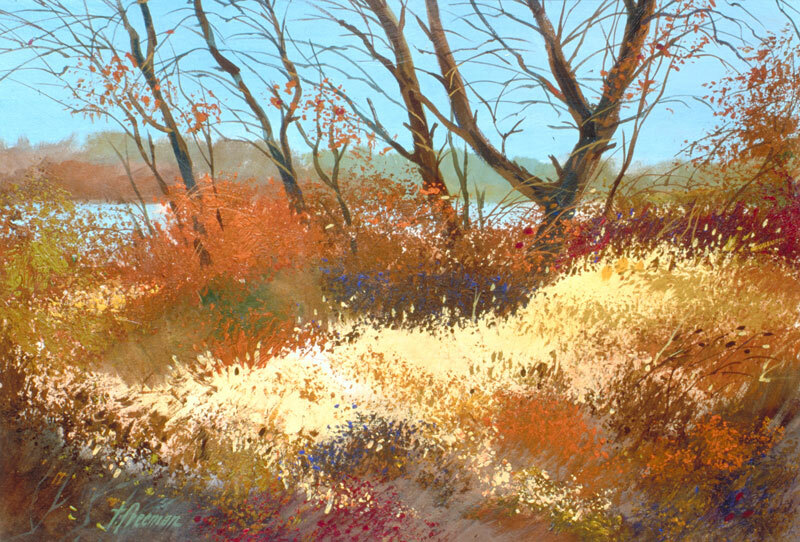 Thomas Freeman Original Watercolor Painting: "Just Before Winter"
I chose acrylic for this painting because I wanted to emphasize the bright yellow colors, and watercolors would not have given me the look I wanted. Acrylics allowed me to brush in color over color, light colors over dark colors. This won first prize in a recent Society of Western Artists ' Small Painting Show.